Adults may experience many different kinds of headaches. A primary headache is a headache that is not a part of another disease process. Secondary headaches can come from a poor eyeglass prescription, diabetes, the flu, or even a brain tumor. The most common primary headaches are tension-type, migraine, and cervicogenic (from the neck). In cervicogenic headache, neck function is prominently disturbed. In addition to neck pain, there are usually tight neck and shoulder muscles, and a limited range of motion. Tension type headaches feel like a tight band around your head. Stress seems to aggravate them and women tend to get this type of headache more frequently. Females are also more affected by migraine headaches. There are two types of migraine: classical and common. The classical migraine headache may start with nausea or sickness in the stomach and proceed to an intense throbbing pain on one side of the head. The common migraine lacks this nausea and is more common than the classical type. Research has shown that the three above described headaches can also overlap with one another. In chiropractic, we look to the spine as an often-overlooked factor in headache treatment. By objectively analyzing spine function, the doctor will identify the joints that are restricted in their range of motion or show abnormal posture and alignment. Many patients on x-ray, or through external postural analysis from the side, can show forward head posture. This is where the neck seems to arise from the front of the chest rather than back over your shoulders. The head is very heavy and with this poor posture, the muscles at the back of the neck must contract to restrain this heavy load. There isn’t one particular bone that is treated for these different types of headaches, the premise being that the headache is a symptom of another problem in the spine. Chiropractic care has an excellent safety profile and several studies have shown that patients with headaches positively respond to chiropractic care without the side effects often seen with drug treatments. Chiropractic care is one of the most researched non-drug options available for patients. Unfortunately, many patients choose over-the-counter and prescription medications and don’t consider more natural approaches that may get at the cause of the condition rather than just its effects. 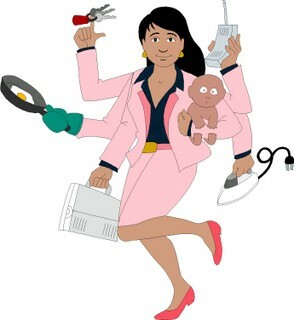 What Can Busy Mothers Do to Avoid Back Problems from Reoccurring Even When They’re Doing a Hundred Things at Once? 6 healthy back tips for Mom’s! The very first thing you should do upon waking is to stretch! Stand up and stretch your arms above your head. Do the “hug your best friend.” Wrap your arms around your body, and turn as far as you can to the left, then to the right. 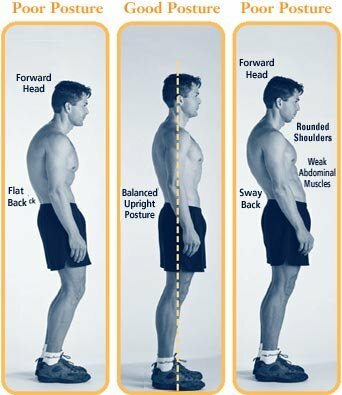 Focus on Posture! Even performing everyday tasks like applying makeup, remember your posture. Do not hunch over the sink – stand up straight. Use the Legs to Lift your Child! Don’t bend from the waist when lifting your child. Squat with your back straight. Keep the child close to you and use your arms and legs to lift. Don’t Cradle the Phone! Either hold the phone or use speaker phone. Cradling the phone can cause beck, shoulder and back pain. Warning – Crossing Your Legs! Do not consistently cross the same knee over the other. This habit can eventually cause misalignment of the spine. Bed Time – for You! It is important to get a good night’s rest. And the other important tip… is a life of wellness which starts with chiropractic care and a focus on a healthy lifestyle. If you’d like to talk to me about chiropractic and YOUR posture related symptoms, or pain that has shown up again due to an active lifestyle, please just ask or call…(309) 692-6800, we’re here to help! What are the consequences of bad posture and why are chiropractors always saying that posture is so important? Poor posture can lead to excessive strain on our postural muscles! The postural muscles include the hamstrings and large back muscles and they’re critically important in maintaining good posture. Poor posture can cause them to relax – not the good kind of relax, but the bad kind – and it can make your postural muscles more prone to injury and back pain. Posture is a habit! Normally, we aren’t conscious of our normal posture. When it comes to poor posture, what we’re really dealing with are poor habits. Like biting your nails. Once you realize you’re practicing the habit of poor posture, you can practice the habit of good posture. Also chances are good that no one ever taught you what good posture looks like. I will in a moment. How do I stand properly? Bear your weight primarily on the balls of your feet. Keep your feet about shoulder width apart. Stand straight and tall with your shoulders pulled backward… and… tuck your stomach in. How do I sit properly? Your knees should be at or below the level of your hips. Don’t cross your legs. Your ankles should be in front of your knees. Adjust the backrest of your chair to support your low- and mid-back or use a back support, available at our office. Don’t slouch. Sometimes it helps to sit on the edge of your chair. What can Chiropractors Do? If your lower back or shoulder blades are feeling tender after a day at work, it might be time to come in and get adjusted. It’s your body’s way of saying “help!” Also I can show you some back supports that can help you feel better. If you’d like to talk to me about chiropractic and YOUR posture related symptoms, please just ask or call… we’re here to help! Posture in practice…and at Home! Along with the entire team at Benningfield & Associates, we want you and your loved ones to be healthy, get healthy and to stay healthy. As we all know, and validated by the Mayo Clinic, posture is an important part of preventing problems ranging from back pain to fatigue. When the back is straight, the spine is supported and stabilized, but as you slouch or practice other methods of poor posture, your spine no longer has the support it needs to stay balanced, leading to many health problems. This is especially important when you work in an industry where you stress your body from poor posture as you serve your customers. The most common effect of practicing a poor posture are sore muscles. As you slouch, the muscles have to work harder to keep the spine stabilized and protected. The extra work on these muscles can cause muscle tightness and fatigue. This can lead to chronic issues with tight and sore muscles from the neck all the way down to the lower back. Two major muscle groups that bear the brunt of these issues are the flexors and extensors, which allow you to bend forward and lift objects. One of the most serious issues that can occur with bad posture is developing a spinal curvature. According to the Chiropractic Resource Organization, the human spine has four natural curves that make up an “s” shape. When bad posture is practiced, the spine can experience pressure, slowly influencing the spine curves to change their positions. The spine is specifically designed to help absorb shock and keep you balanced, but as the spinal position changes, this ability becomes compromised. Of course this is no news to us but once the spinal curve is altered, one major issue that can occur are subluxations. Vertebral subluxations occur when a vertebrae become misaligned from the rest of the spine. This affects the overall integrity of the rest of the spinal column. These mis-alignments can eventually cause chronic health problems including stress and irritation of surrounding spinal nerves. One of the most common side effects of bad posture is nerve irritation. As the spine changes in shape, the resulting movements or subluxations can put pressure on the surrounding spinal nerves. Because the nerves that connect to the spine come from all over the body, these pinched nerves can not only cause neck and back pain but may also cause pain in other unrelated areas of the body. Live Healthy and Feel Good Doing It!